We keep Canterbury, Mackenzie, Marlborough & Tasman looking tidy with weed spraying & vegetation control. 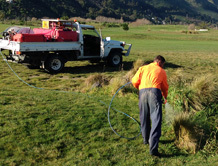 South Island Vegetation Control (SIVC) is a privately owned and well-equipped weed control company. We specialise in leading weed spraying services, vegetation control for councils, DOC, ECan, Land Information NZ and private land owners. Working throughout Canterbury, Mackenzie, Marlborough and Tasman, we have a full range of specialist weed control equipment suitable for any situation from city streets and industrial yards through to lifestyle blocks and hard-to-access hill country. The South Island Vegetation Control team are highly skilled and qualified, with Health & Safety being a top priority on any job. Contact us today for all your vegetation and weed control requirements. thistle and noxious weed control. 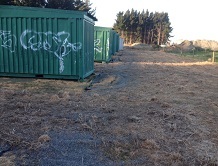 South Island Vegetation Control specialise in gorse spraying and noxious weed spraying for organisations such as DOC, councils and private land owners. We work closely with big companies such as Lyttelton Port who require industrial weed control for large yard/gravel areas, drains and tracks. We usually spray biannually to keep on top of blackberry, gorse and weeds. 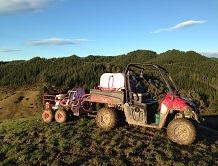 NZ From grass/weed control under fruit trees, tracks and driveways in Tasman through to boom spraying pastures in Canterbury, SIVC help farmers and orchard owners with a farm/orchard weed control programme.